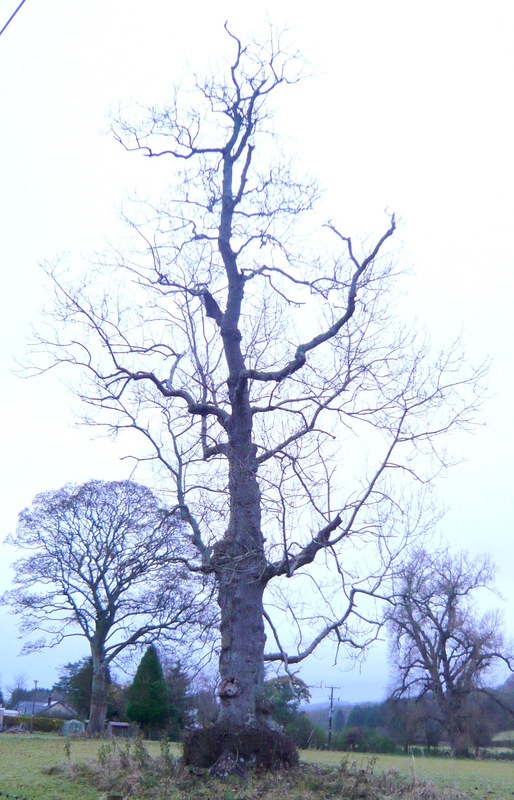 Recording in Merioneth and elsewhere: Ash die-back disease. Of course, as Alex Lockton says in his Ash die-back page "Ash die-back, like other diseases of wild plants, is simply part of [the] ecosystem" but I would take issue with his conclusion that "its main effect is likely to be to increase diversity and ultimately the stability of woods" - and what about "it is unlikely that a casual observer would even notice"? Does he mean the average BSBI member for whom the page is presumably written - or just anyone who can't recognise an Ash tree?! I do agree that there seems to be little that we can do now, apart from stopping the mad process of importing saplings from Holland, because it is cheaper than growing them here. And I am sure that culling whole woodlands is not the answer either. There is undoubtedly a lot of scientific work yet to be done on the disease and its etiology. Some of you will know my views on tree-planting, anyway. Much of that which is being done is a sop to the political perception that it is good for the environment and is an easy way to increase biodiversity. In many cases it is done in inappropriate habitats, and in others all that is needed is to exclude grazing, for woodland to regenerate naturally. Now, there's a way to stabilise the woods! The interesting thing to me about this tree is the 'shelf' at the base of the trunk, which is now sprouting multiple epicormic shoots. I suspect that in former times the ground level was so much higher when it was part of the boggy river catchment. 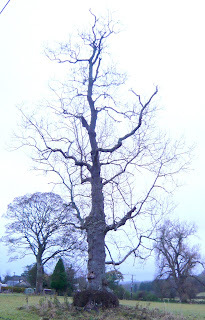 I would be delighted to receive records of mature ash trees in VC48 with their girth at breast height [GBH] or 1.3m [see below] and sufficient location detail to be able to re-visit them. Do you know anything special about the tree e.g. history, etc. Is the tree alive or dead? Is there a lot of heavy deadwood about the crown? Are there any large holes in the main branches? Does the trunk have large holes? Is there a lot of fallen deadwood on the ground? Are there any tears, scars, on lightning strikes on the tree? Protective fencing around the tree? Management of competitive trees nearby? Substantial weed present under the canopy? Planting a tree at least once in your life time is as important as family, each and every day. Our world cannot survive without the natural green, and will wither without it.